I draw since I was half a year old. I adore the magic of nuanced shades of gray. And when gray, black and white is too much, I celebrate color. My art is a way of necessity for me and it comes from where I am emotionally. I have tried to escape from creating art by either going to work from 9 to 5 or curating and organizing art events. Some flights have even lasted for years. I have come back with incredible experience and urge of the soul to create. My art is a combination of abstraction and investigation of forms in nature. It is in a way spiritual and reveals my environmental, social and spiritual consciousness. I look into small fractions of forms and expose them monumental. By exploring details I reveal the whole universe in a small fragment. More detailed and intricate levels of my work reveal to an unhurried observer, who brings it to a whole new level with his observation. Hand drawing is a meditative process for me, where I feel most natural and real, where I can dream and search for answers to the most important questions. Associative, subjective, in a way narrative and eternally unfinished nature of drawing, is what interests me most. I could say that drawing has chosen me instead I have chosen it. When I create an artwork, I have a vision in my head, but then in the process of creation, I leave the space for transformation and variations. My artworks obtain their final form while being created and are always discovery for me. And I truly believe that art makes a huge difference in this world. Ilze Egle is a visual artist based in Latvia. Since 1990 she participates in group and solo exhibitions with drawings, prints, paintings, and photographs. 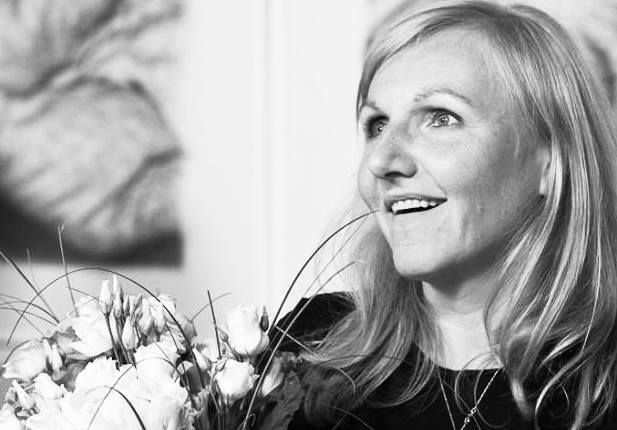 Since 2001 Ilze worked as art manager and curator. She established and lead Art and Music Centre of the National Library of Latvia curated and participated in many international art events and exhibitions in Europe. In 2013 she graduated Art Academy of Latvia and since 2016 Ilze Egle is a freelance fulltime artist. Ilze has studied traditional bread baking and has developed unique bread recipes of sourdough scalded black rye bread. She is creator and owner of Ilze’s Art and Bread Workshop. līva, gustavs un ainārs, siltums un gaisma, zīmuļi, otas, fotoaparāts, papīrs, jūra, priedes, ābeles, melnbalts, oranžs, pelēkie toņi, nesteidzīgi rīti, mūzika, meži, sūnas, viss zaļais telpās, ārā un uz šķīvja, melnās jāņogas, saldējums, olīvas, āboli, pastaigas, pārdaugava, krēslas stunda, putni pirms saullēkta, dārzs, ciguns, mājas. viss mainīgais un skaistais. un reizēm ne tik skaistais, bet izaicinošais. un vēl.